For a recent appearance of hers, Raashi picked a suit by Picchika to wear. Silver jewelry and metallic sandals were her accessories of choice. Though the look itself wasn’t much to write home about, it was one that the actor wore well; she looked nice. 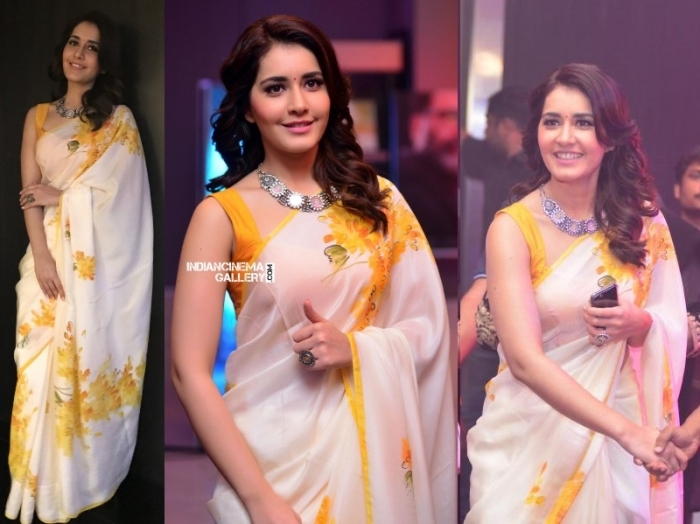 Wearing a floral hand painted Picchika sari with silver jewellery from Amrapali, Raashi attended the audio launch of Villain. We love a good sari sighting and this sure was one. Did you love as well? 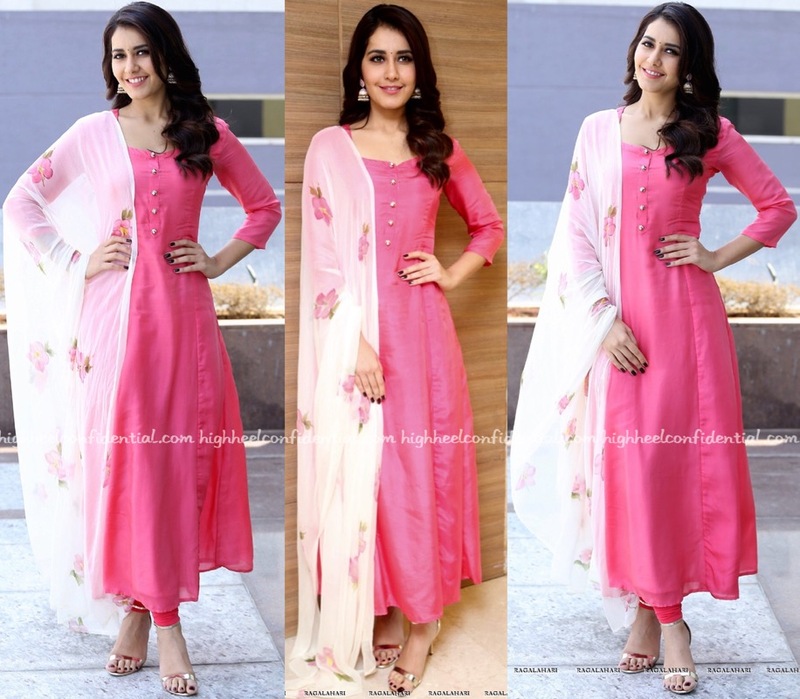 Catch Vidya in a pink version of the sari HERE. 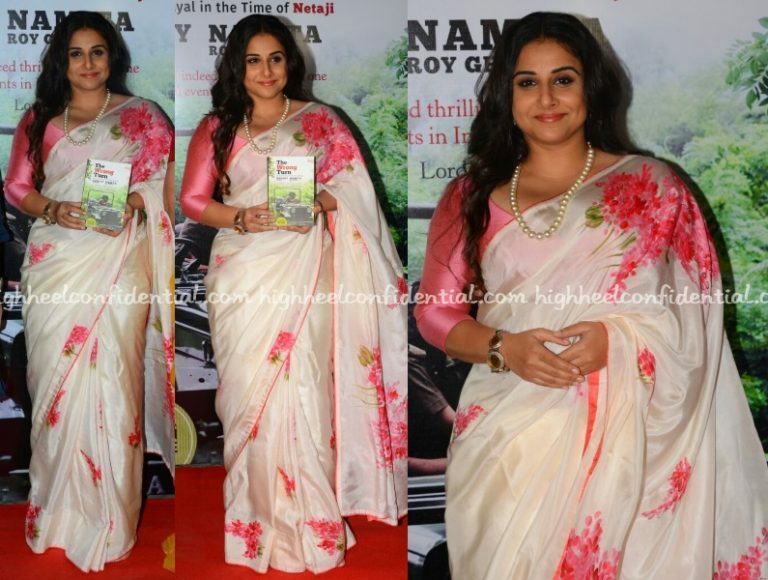 Vidya helped unveil a book in Mumbai on Tuesday wearing a hand-painted silk Picchika sari with an Amrapali bracelet and a Jaipur Watch Company watch. In theory, I should love this look instantly, especially given the pearl element and the sari itself. But, the blouse with its sheen, is keeping me on the fence.